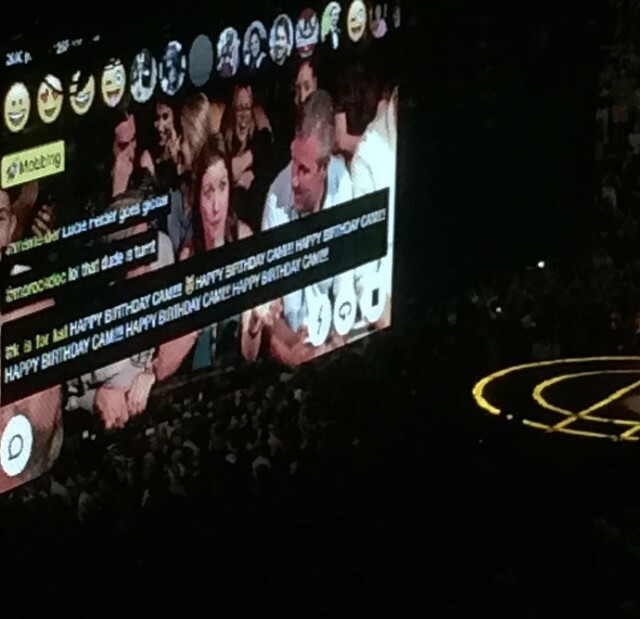 Last night, U2 played the seventh night of an eight-night stand at Madison Square Garden. (Our own young classic rocker Ryan Leas reviewed one of those shows earlier in the week.) And at last night’s show, the band introduced a few special local guests. There was New York royalty Paul Simon, who came out to help the band cover his song “Mother And Child Reunion.” There was Lou Reed’s widow, the singer and performance artist Laurie Anderson, who Bono shouted out before launching into a cover of Reed’s “Satellite Of Love.” And there was the woman who called 911 after Bono got into a bad cycling accident in Central Park last year. Of the three, the crowd’s least favorite was that one woman. Amazingly, he then passed his mic to Alyssa, who proceeded to troll the entire Madison Square Garden crowd: “So I have to clarify, it’s Alyssa and I’m from D.C., not Denver… Here’s what happened: I was running in Central Park, there was an accident, obviously I had to stop and help because I’m not from New York, I’m from Virginia, where people are nice.” That lady’s got some balls! The crowd booed, because of course they did. I can say with some authority that people from Northern Virginia are, by and large, way nicer than people from New York. I can also say that people from everywhere else in Virginia are way nicer than people in Northern Virginia.